The business must be trading. The prices should be current.If we are not able to obtain the products from the manufacture this offer is invalid.The supplier of the quote we are trying to beat must have all items in stock.The website or internet prices must be current to the year. The website must not be breaking the law or breaking there duty with the supplier with the discount availability which is given. Pick up from the showroom only. It will only be on like to like products if its unbranded items.We will only attempt to beat the price of like for like products produced by the same manufacturer. Payment made from credit card will be incur 2% surcharge.VAT must be shown in the quotation given or uploaded on quote beater.Quote beater will be invalidated if the customer has modified or tampered with the quotation.Minimum quote must be an four peace bathroom suite ( Wc pan, Cistern, Basin & Pedestal).Quote beater only applies to bathroom quotations.Delivery prices on quotations will be applied to the total quotation price.The competitor has to be an established Bathroom Retailer and their web site has to be an e-commerce web site.We do not offer the Quote Beater option against products sold vial online auctions.The competitor’s web site has to be properly hosted with a registered domain name.We will not attempt to beat prices from web sites hosted on free web space.The competitors’ web site has to be UK based.The competitors’ advertised price has to be verified by Abbey Bathroom t/a Bath Barn staff. 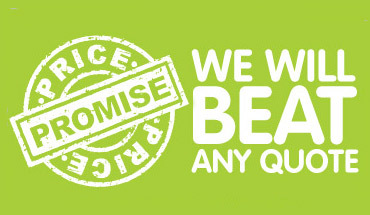 We will not normally attempt to beat any promotion price or any price offered to you as a special one of deal.We will only attempt to beat the prices from a list of our known competitors we will however consider competitors not in our known list.We reserve the right to refuse an attempt to beat the price of any competitor not in our known list.In most cases Quote Beater facilities will not be offered on end of line, one off special offers. All goods supplied remain the property of Abbey Bathroom LTD in accordance with their standard conditions of sale and until paid for in full. Abbey Bathroom will not accept any items back which have been fitted. The company is under no obligation to accept the return of goods due to customer ordering error, surplus to requirements, no longer required, unsuitability etc. You the customer should check all products you receive against your order. If the products you receive are damaged or incorrectly supplied on delivery then you must inform us via email within 7 days of your delivery Email info@bathbarn.co.uk. Any returned items will be subject to a distributor restocking charge up to fifty percent. If you have any comments or questions about Our Terms and Conditions please e-mail us. If you have a quote you would like us to match please fill in the form opposite and we will contact you with a lower quote! Accepted file types: xls, pdf, jpg, csv, doc.